Great news for Warhammer fans today, as Sega has announced a “Multi-game deal” between British developers The Creative Assembly, and Games Workshop. Eurogamer published the story earlier on today after an interview with Sega UK. 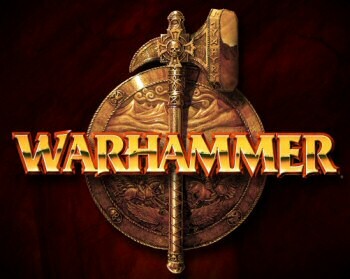 The publisher said they will be looking at developing for the “Warhammer universe of fantasy battles”. They have also confirmed that THQ still holds the licence for the Warhammer 40K, so it looks like Creative Assembly will be only looking at Warhammer Fantasy titles, which by no means will be a bad thing. “With this year being our 25th anniversary it seems fitting for us to embark on such a dream project with such a well-established partner,” Tim Heaton, studio director at Creative Assembly said of the deal. “The incredibly rich and detailed Warhammer world is something we grew up with, and has left an indelible imprint on us as both designers and gamers. This news is huge, and is absolutely amazing news for Warhammer fans. Games Workshop would’ve really struggled to find a more suitable developer; Creative Assembly already has years of experience developing the widely acclaimed Total War series, so if anyone knows how to field huge, epic battles between Orcs, Men, Elves and everything in between, it’s them. They know what they’re doing, and this partnership certainly has lots of potential for them. It’s pretty likely we can expect a strategy game, possibly an RTS like Warhammer; Dark Omen could be on the cards, but I’d love to see a grand strategy game, a Warhammer version of Medieval; Total War as well. Unfortunately; it looks like we may have quite a wait before we can get stuck into anything, as Sega UK said the first title won’t be ready for a while yet; with “beyond 2012” as the only guide for now. Matt, 24 last time he checked, was born and raised in Manchester. A self-styled geek; when he isn't annoying his other half by fitting in as much gaming time as he possibly can, he can be found getting his fix of Fantasy and Sci-Fi elsewhere by reading, writing, or watching TV Series and Films. He is also a Michelin 3-Starred Chef in his spare time, and can be found experimenting in the kitchen, and generally poisoning his friends with obscure and mysterious dishes.